Welcome to Paver Rescue. Our company is designed to tackle all of your restoration needs and preserve your long term investment. 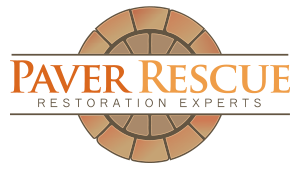 Here at Paver Rescue we are committed to providing you with quality work and the very best customer service. We use the most advanced technology of pressure washing combined with the latest, safest, and improved cleaning and sealing products. Whether you have a paver patio, driveway, pool area, retaining wall or concrete surface, our goal is to bring renewed life and the natural beauty back to your hardscapes.